"When our pets are in a state of imbalance it can manifest itself in both physical and behavioral issues. 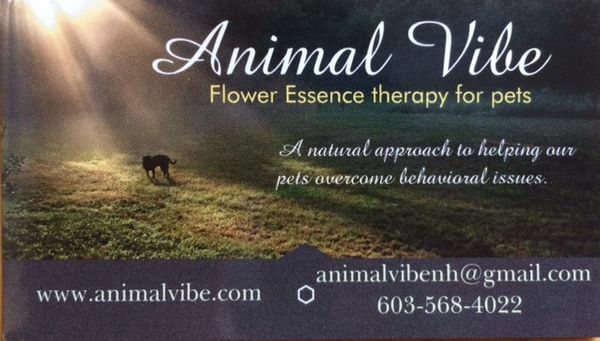 At Animal Vibe we blend specific essences together based upon unique properties of individual flowers. With these essence combinations we have been able to effectively assist with things like stress, fear, behavioral problems in the car/traveling, forming new bonds, recovering from past abuse, support in healing and recover from illness, self control issues, etc. For more information visit our website at wwwanimalvibe.com or find us on FB."